If you follow this blog or my facebook page then you've heard about my new program for libraries this summer. It's called "Book to the Future". This has been a labor of love (as all of my shows seem to be). It's a mix of magic and science, with an homage to the Back to the Future movies. Over the past several months I've been thinking about this -- writing new scripts and practicing all new magical effects. 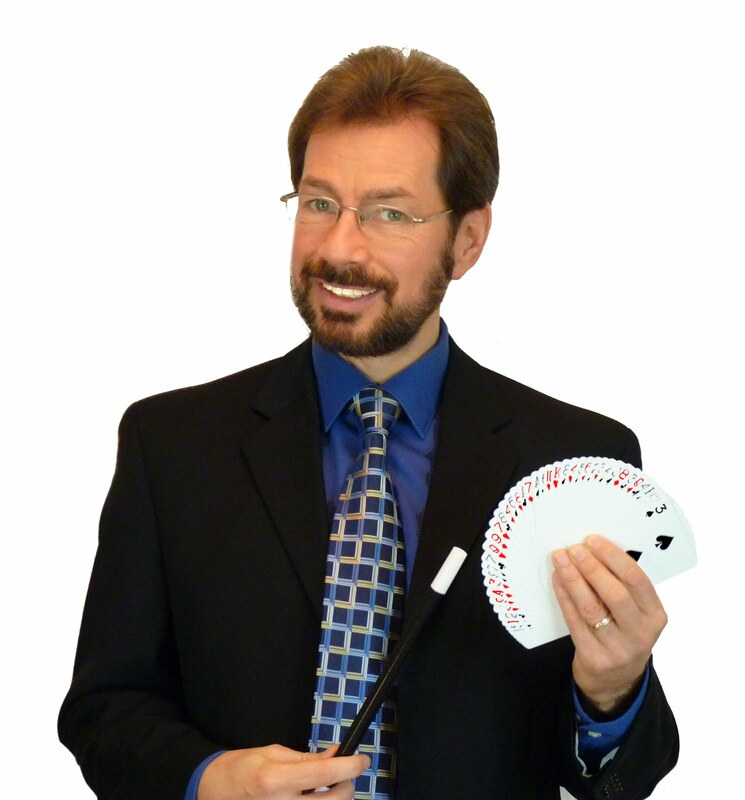 My goal is to present a highly entertaining show but at the same time give the audience some fun facts about science (and perhaps science fiction). Also, I want kids walking away with a positive message about reading and library use. That's a lot to pack into a 45 minute program, but I think I've accomplished my goal. On Tuesday, I launch the show for the public. 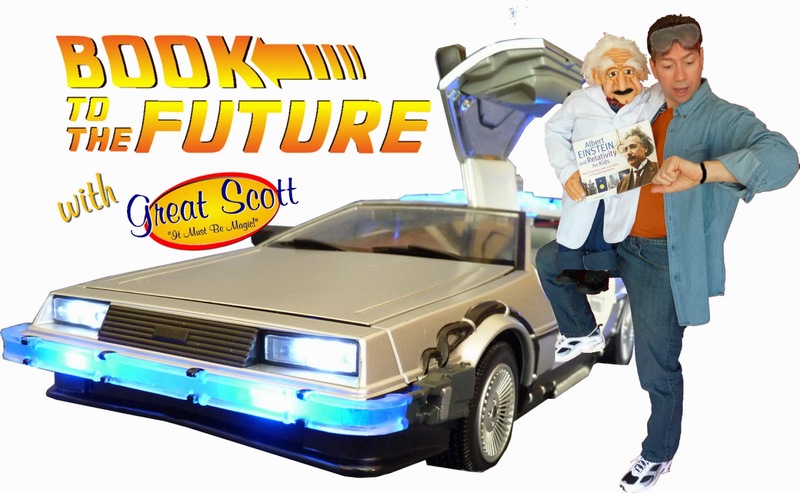 Check with your local library to see if they have invited me (Great Scott) to come to your library. I can't be everywhere, but I've always got room for one more library on my schedule. If not this year, then maybe next. Don't be afraid to ask for me by name. Librarians need to hear from their patrons.